Normally when you break the docks in a floating village the water fills in the empty space. 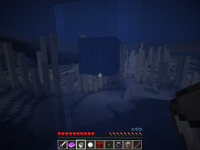 In the newest snapshot it's just sitting there. 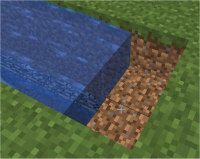 I tried outside the village with newly placed blocks and the same thing happened. 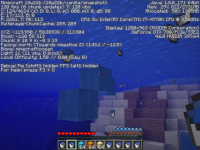 MC-129054 Naturally generated water does not update! 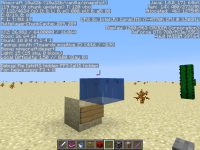 MC-129828 Whenever I fill a bucket with water or Place a block in the ocean and destroy it the source block does not come back. 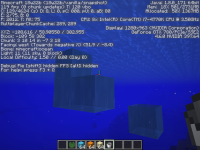 MC-129899 Torches can be placed underwater when there is a block above them. MC-129467 Water blocks treated as air?